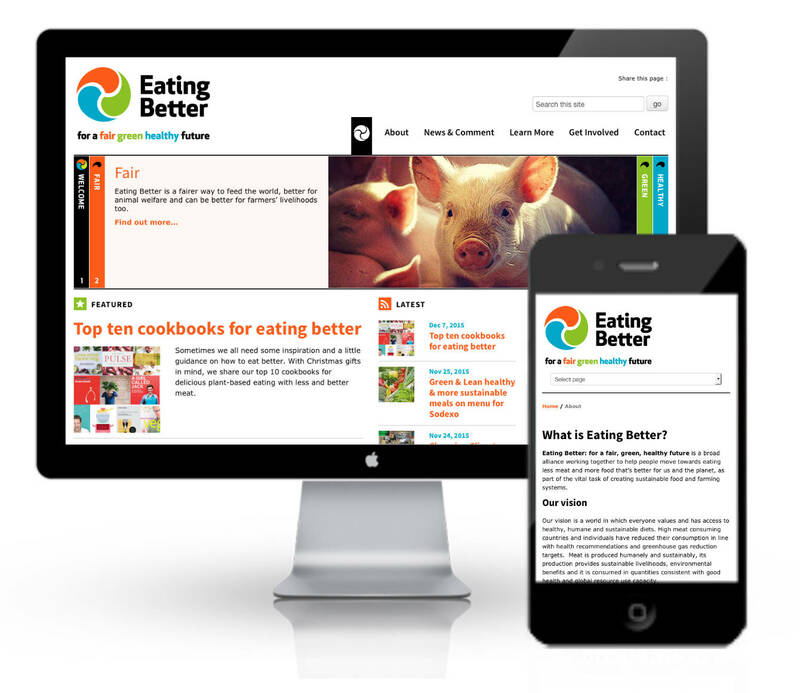 Eating Better is a new alliance to help create an eating better food revolution. The aim is to promote a fair, green and healthy world by addressing food that’s better for us and for the planet. The alliance is made up from a wide range of charities and special interest groups; including Friends of the Earth, WWF UK, Oxfam, the RSPB and a whole lot more. This was a brand new campaign so we needed to bootstrap the whole project, from logo and branding, through digital communications strategies and technical requirements, design and implemenation. All on a tight budget of course. We had a great time developing the brand - working with the clients to get from their initial title of The Sustainable Diets Coalition to something we hope is a little snappier and creating a brand that met all the requirements of such a wide range of supporters. The website uses a CMS which allows management of all the partner organisations as well as the usual blogging and content update facilities and integration with newsletter and social media. The site uses a responsive template of course so looks great on mobile devices. The campaign has been very successful with support from MPs and celebrities and we're really pleased to have been a part of its success.